When it comes to video- Try, try again. 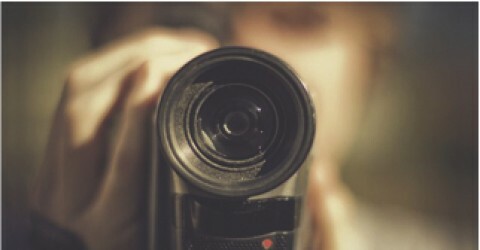 It’s real easy to give in to the fear of talking on camera and never get around to doing your proper video marketing. One only needs to view a few of your own efforts when you tried but found yourself stumbling over words, or your hair was out-of-place or your make-up wasn’t just right and you gave up saying, “I hate seeing myself on video” or “I’m terrible on camera” or something similar. In this video Real Estate marketing expert Lisa Tremolada makes an easy and succinct point that I think a lot of people forget about. I’ve recorded myself on video for various tips and advice segments 40-or-50 times in the past couple of years, as you can see here. I never get it right on the first shoot. I usually need 5-6 shoots before I settle on one I like. Taking the point even further, while video is relatively new to me, I’ve been doing voice recordings professionally since 1985 even when there is no camera and I’m only working with a microphone I seldom bang-out a clean recording on the first shot. You can do it. Just be more forgiving of yourself and try, try again. And if you find this blog interesting, please help me out by sharing it. Thank you. Categories: Business . Tags: affordable online marketing, Arts and Entertainment, Business, Camera, Marketing and Advertising, Michael Schuett, Photography, Real Estate, Renton, seattle video production, Tools and Equipment, Video, Washington . Author: Michael Schuett . Comments: Comments Off on When it comes to video- Try, try again.